I got a really fun tutorial for you today. 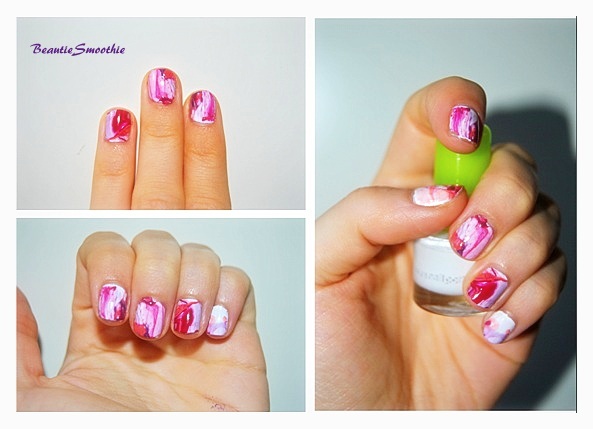 It is called marble nails and has been around for a while now, but I hadn't discovered it until recent. Since I have known this technique I've been really loving it. I'll take you through it step by step. First you will need some supplies. All of theses items you will probably find in your house. The things you need are: 3 nailpolishes (any colors you want), a top coat, a cup with room temperature water, some scissors, toothpicks, paper towels, nailpolish remover and some cotton pads. 1. 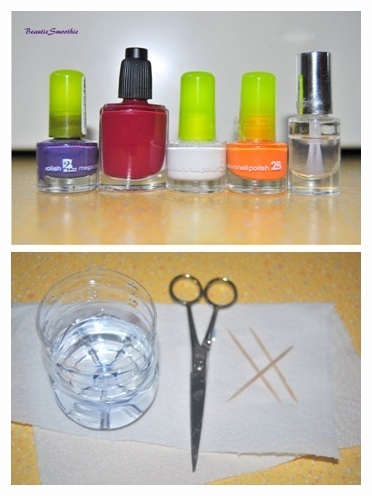 Paint your nail with a first coat of nailpolish. 2. Paint your nails a second time with the same polish. 3. 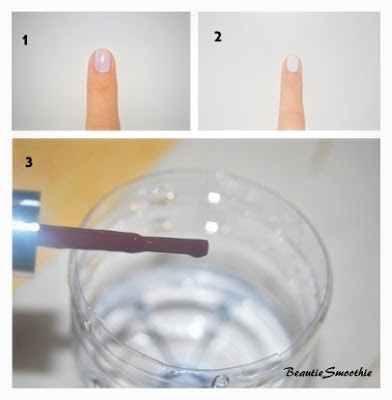 Drop some nailpolishdrops in a cup of (room temperature) water. Then you choose another color and drop them in the first color. 4. 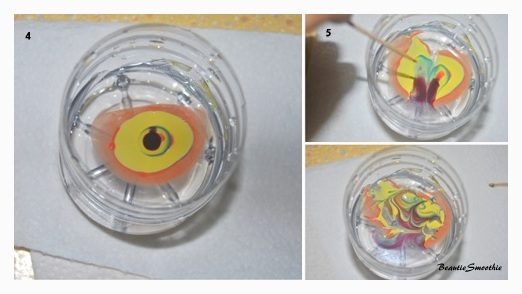 Repeat this process with as many colors as you like until you get a spiral-looking shape in the cup. 5. Take a toothpick and create a shape you like in the water. Best is to create from top to middle, then you get prettier shapes. 6. Take you finger and dip it in the place, the shape you like to have on your nail. 7. Leave your finger under the surface for about 10 seconds. While you are waiting take your toothpick and collect the nailpolish around your nail. This way it won't get on your nail when you take it out of the water. After you're done, let your finger dry for about 30 seconds, remove the access polish off your finger with a cotton pad and nailpolish remover. Then complete the look with a shiny top coat. This will make your nails look even more pretty and will make the result last longer. You can also dip two or even three fingers in at the same time, but then you have less control of the shapes on your nails. I usually do two fingers at the same time, otherwise I feel like I'm wasting too much product. I hope you enjoyed this tutorial and have fun trying it out!